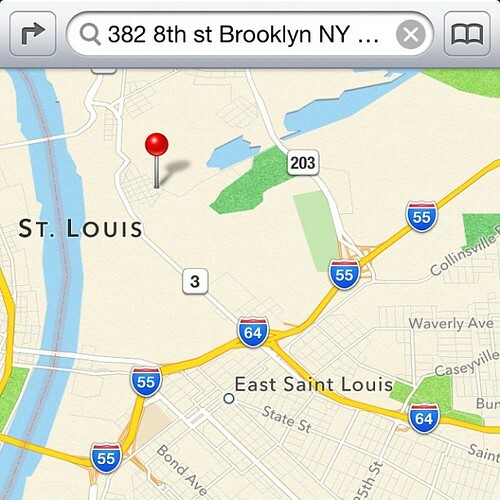 Apple Maps’s introduction didn’t go well; now it’s going for a big reboot. Photo by Noel Hidalgo on Flickr. A selection of 10 links for you. Yes, I did write a subroutine, and tested against a comma. I’m @charlesarthur on Twitter. Observations and links welcome. Welcome to Excel Unusual, the home of the most unique Microsoft Excel animated spreadsheets. All the animated models in the thumbnails above are created using plain MS Excel. All the Excel files and PDF tutorials can be downloaded from MODELS & TUTORIALS page. All the downloads on this site are FREE and there are hundreds of them. He’d like your donations, of all sorts. Come on, it’s Excel! How great to come up with a product that literally nobody will want to use. We’re going through a change in the climate of globalization: We’re going from an interconnected world to an interdependent world. In an interdependent world your friends can kill you faster than your enemies. If banks in Greece or Italy — both NATO allies — go under tonight, your retirement fund will feel it. And in an interdependent world, your rivals falling becomes more dangerous than your rivals rising. If China takes six more islands in the South China Sea tonight, you won’t lose sleep; if China loses 6% growth tonight, you could lose your job. From 1960 to 2000, Quartz reported, U.S. manufacturing employment stayed roughly steady at around 17.5 million jobs. But between 2000 and 2010, thanks largely to digitization and automation, “manufacturing employment plummeted by more than a third,” which was “worse than any decade in U.S. manufacturing history.” And we’ve digitized only about 20% of the economy, meaning there’s tremendous technological climate change yet ahead. This is very much what I’ve been thinking. Things are changing, and very rapidly. Sounds fun. Though still essentially phones, right? South Korea’s LG Display Co. will initially supply between 2 million and 4 million units, small relative to Apple’s sales, as it continues to work on ramping up capacity, said one of the people, who asked not to be identified because the matter is private. That would however help Apple gain leverage in price negotiations with Samsung, the sole supplier of OLED displays for the iPhone X and Apple’s primary rival in smartphones. The expense of that component is a key reason iPhone X pricing starts at $1,000 and sales haven’t met initial expectations. A successful supply deal would help both Apple and LG. The Cupertino, California-based company would be able to buy significant volumes from LG for next year’s iPhone model, as it tries fight off a slump in smartphone sales. LG needs a fresh source of revenue as it battles a slide in the price of liquid crystal displays. That’s a really tiny number of screens compared to the number of OLED phones Apple will be looking to sell; remarkable if it has taken all this time – at least a year – to ramp up so little. California has become the first state in the US to pass a data privacy law – with governor Jerry Brown signing the California Consumer Privacy Act of 2018 into law on Thursday. The legislation will give new rights to the state’s 40 million inhabitants, including the ability to view the data that companies hold on them and, critically, request that it be deleted and not sold to third parties. It’s not too far off Europe’s GDPR. Any company that holds data on more than 50,000 people is subject to the law, and each violation carries a hefty $7,500 fine. Needless to say, the corporations that make a big chunk of their profits from selling their users’ information are not overly excited about the new law. So far no word from Facebook, which put 1.5 billion users on a boat to California back in April in order to avoid Europe’s similar data privacy regulations. The result came too late for Friday’s edition (sorry) but it means that California avoids the ballot measure that would have been worse, had it passed (and it looked likely to pass). In Ayyadurai’s lawyers’ Thursday filing, they argued Techdirt previously published articles and comments that contained numerous antagonistic words used to describe Ayyadurai—a “fraud,” a “charlatan,” a “liar,” a “fake”—that a “reasonable reader” would find as asserting a factual statement rather than a protected opinion. Because of this, Ayyadurai’s team believes, Techdirt’s work can constitute defamation. The appeal also argues that because Techdirt disregarded “extensive factual evidence,” the publication “consciously disregarded” the truth and knowingly acted with “actual malice.” Based on that, Ayyadurai and his attorneys claim, the case should be allowed to go forward. However, numerous legends of Internet history—including Vint Cerf himself, a co-inventor of the TCP/IP protocol—have publicly dismissed Ayyadurai’s claims regarding email. Who you gonna believe, though, the internet legend or some guy with a vague grievance? Though I like the judge’s sidestep on this: can’t define exactly what email is, so ¯\_(ツ)_/¯ . Add this to “lawsuits that have gone on too long and should never have started”. The summit, and the prospect of an end to international economic sanctions, could lead to a flood of foreign capital that could transform North Korea from a hermit kingdom into an economic juggernaut, concludes the study by Samsung Securities. “If South Korea combines its wealth and industrialization knowhow with North Korea’s human and natural resources, the economies of both nations could make a quantum leap over the long term,” the authors write. Granted, realizing the report’s vision will require overcoming a formidable list of obstacles, including a wide-ranging sanctions regime against Pyongyang, corporate reluctance to jump into an economy rife with illicit activity, and heavy-handed state control over nearly all aspects of the economy. Iran’s disappointing bid to attract foreign investment after winning its own sanctions relief in 2016 as part of the nuclear deal is a case in point, said Jonathan Schanzer, a sanctions expert at the Foundation for Defense of Democracies, a hawkish Washington think tank. North Korea has an advantage over Iran: it’s right next door to a gigantic manufacturing power. But does Kim Jong-un really want to give up his dictatorial grip? The benefits for everyone would be great. I’m hopeful, though not optimistic. …[Eddy] Cue points to the proliferation of devices running iOS, now numbering in the hundreds of millions, as a deciding factor to shift its process. We recently shared the work of Janelle Shane, who trained a neural network on a database of route names from Joshua Tree (5,633) and Boulder, Colorado (4,527). The results were both amusing and baffling. We wondered how the generated names might differ if we provided Janelle with our much larger database of 432,000 route names, which we split by country. It’s lovely to see this work loop around to UKClimbing: in 1995, when I was trying to figure out this “world wide web” thing, I created a web page with a listing of indoor climbing walls in the UK. Soon after, some other climbers got in touch and said they were looking to create a website – climbing in the UK? UKClimbing? – and wanted to include the indoor walls listing. But the grand aim was to have a listing for every route in the UK, and perhaps abroad too. Turns out there are more than 150,000 routes in the UK, though we didn’t know that at the time – nobody did. We crowdsourced a lot of it; and a lot of our experiences in trying to create lat/long pairings from postcodes (for the climbing walls, so you could figure which was the nearest to you) led to my advocacy for the Free Our Data project so that we could include maps, tide times (which matter, a lot, for sea cliff climbing) and location data without busting our tiny budget. Get ready for the outcry from customers getting the inferior LG screens. Then Apple’s arrogant denial, maybe “you’re seeing it wrong'” ;-p Or maybe Apple will make everybody’s screens worse, like they did for LTE Modems. Isn’t North Korea a Chinese puppet (for border neutralization, misdirection, distraction), so thinking anything will happen is simply silly ? Political parties: I’m amazed at the ability of the left to lose the plot. Focusing on minorities is morally nice, but a convoluted way to get to a majority. What’s wrong with “an honest life from an honest job, for everyone” ? Or has the left signed up for ever-increasing income and wealth disparities, and ever-worsening public services ? Haven’t phones stopped being phones about 10 yrs ago ? The device in my pocket is a PoCoCo – pocket connected computer – and if it had to lose 1 functionality among phone (voice and texts), data (messaging and web), apps (incl. games; some use data), media (ie humongous storage and large screen), and camera… I’d choose phone (well camera maybe, but that’s me), I could always get a separate keyfob-size phone like the Nokia that used to pair up with my Palm Pilot. I’d probably even choose FM radio over phone functionality, I spend more time using FM than phone, though in less vital scenarios.